Incorporate YouTube videos into your survey using TubePulse, a moment-to-moment video rating feature in Survey Analytics' Enterprise Research Platform. 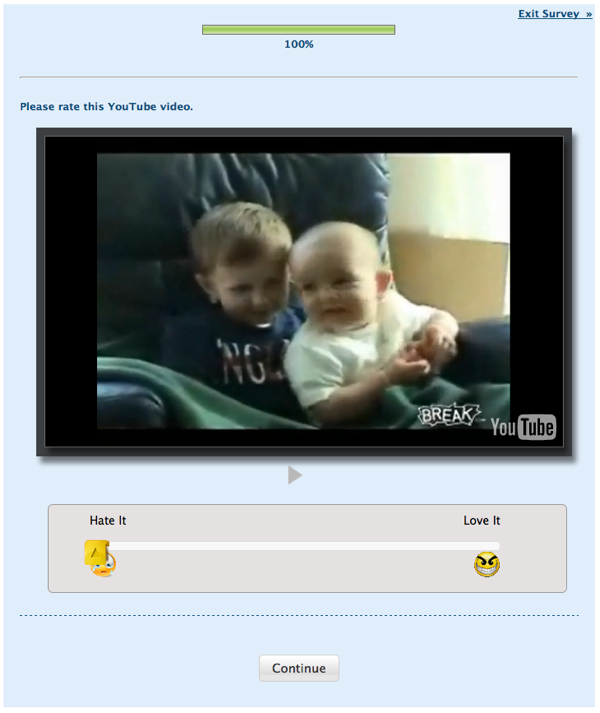 It's really easy to add a YouTube video to your survey using TubePulse. All you have to do is select TubePulse as a question type, then type in your question, customize your rating scale (if desired), choose which type of rating you want, and add the YouTube ID of the video you want respondents to rate. Here's where you add the TubePulse question. Here's a video tutorial showing the process step-by-step. And here's a link to a help file from Survey Analytics showing screen shots of how to add a TubePulse questions step-by-step. 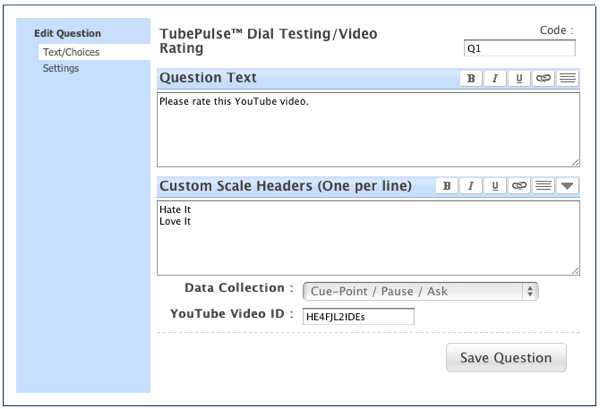 Enjoy using TubePulse in your Survey Analytics surveys!